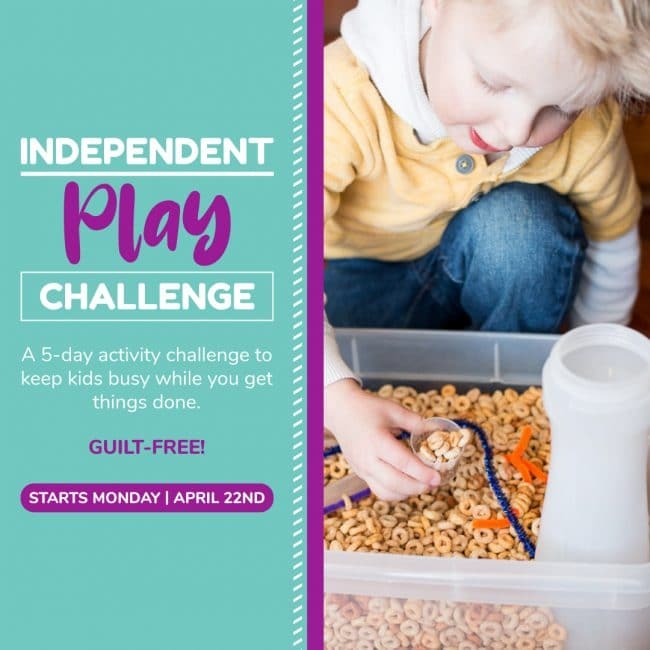 Do you know how I know when the spring crafts season has begun? The kids start wanting to go outside. I love watching Little Miss squat down and point out the bits of green popping up in the garden. This year she’s showing Mr Monster; because now that she’s three, she’s an expert. 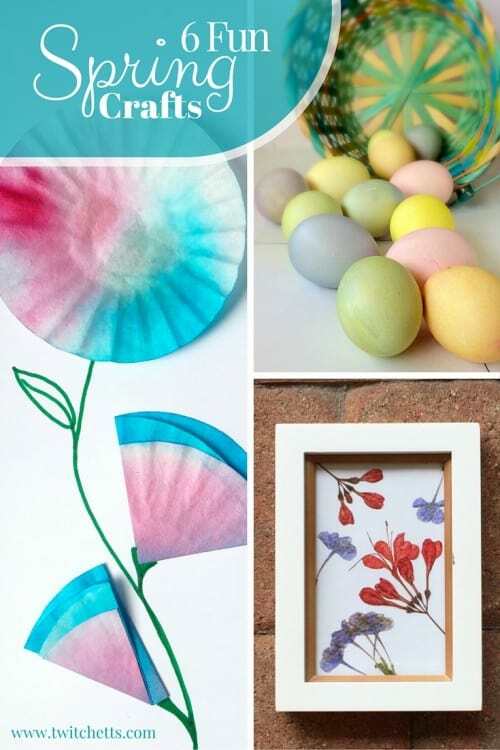 We have done quite a few fun spring crafts. Some are old and some are new, all are fun. When I think of spring, my mind goes straight to two things. Easter and Flowers. 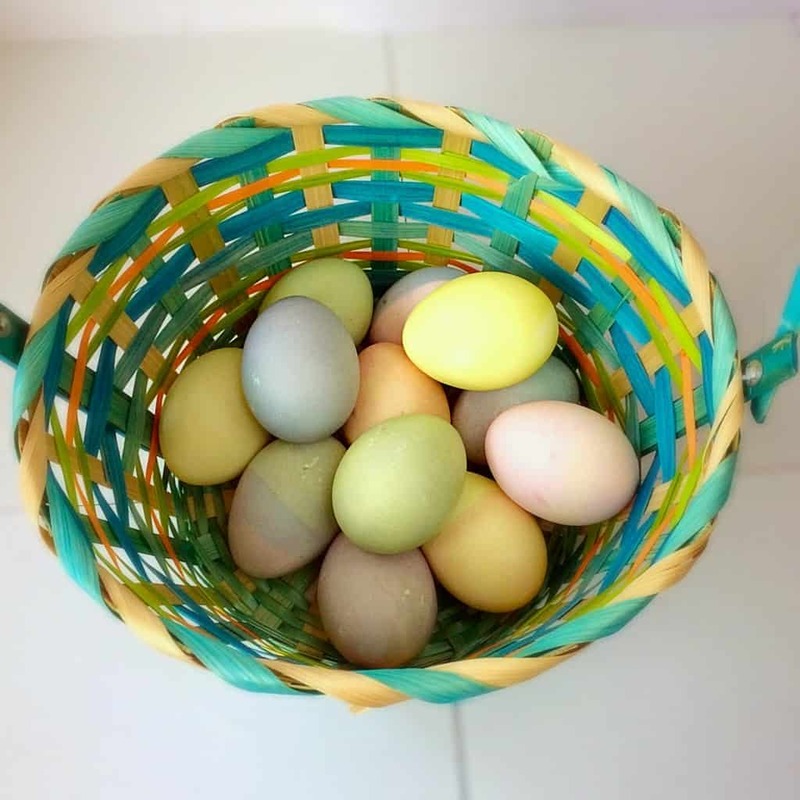 One of our more popular posts, last year, was our Easy Natural Easter Eggs. Simple to make and safe to eat. Little Miss loved playing around with making new colors. And watching her little face light up when the eggs changed from a pink to a beautiful blue was priceless! 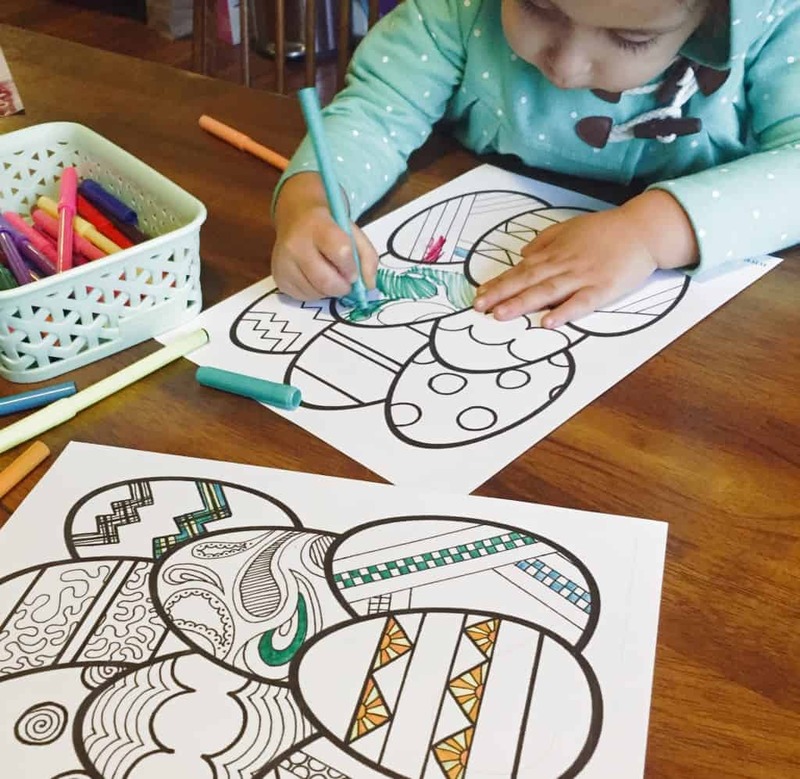 If you’re looking for something quick to do with your little one, you should check out these fun Mommy and Me Easter Egg Coloring pages. One is a simple design, perfect for the little ones. The other page is a more intricate design, perfect for the older kids or you! I love pressing flowers. 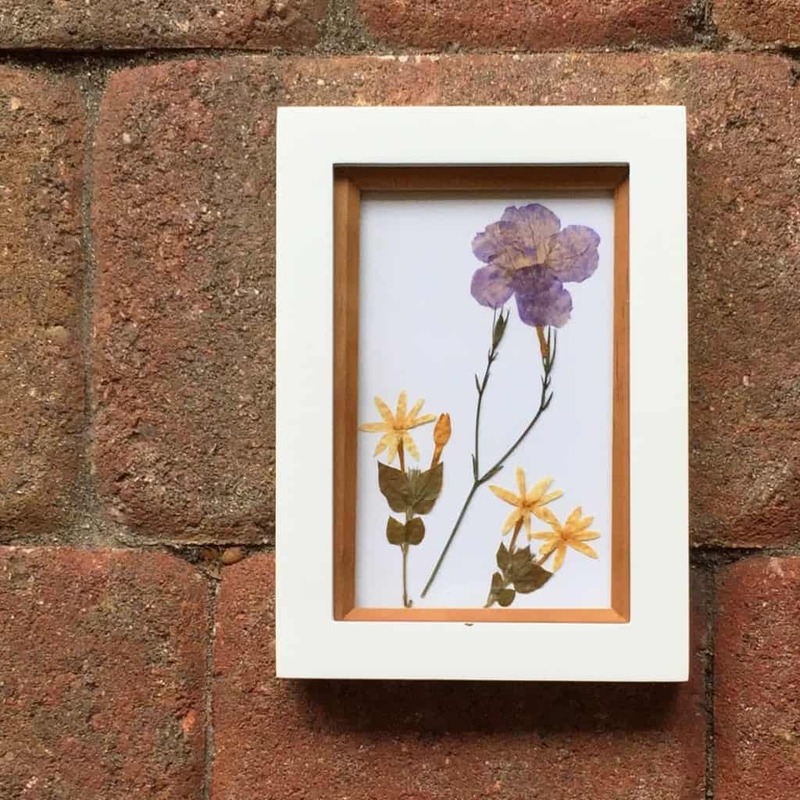 There’s no better way to preserve spring all year long than to frame some flowers. 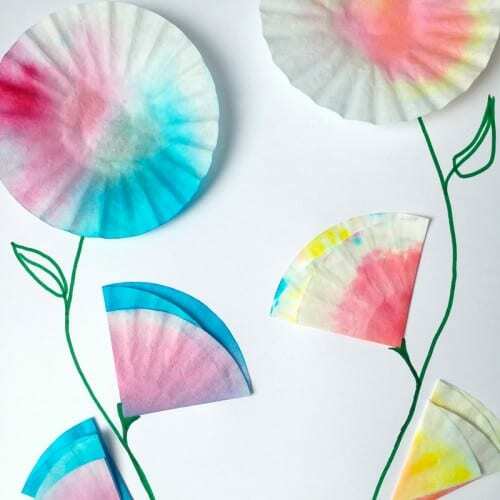 This Pressed Flower tutorial walks you through the process, step by step. So you end up with beautiful flowers that you can hang anywhere in your house! 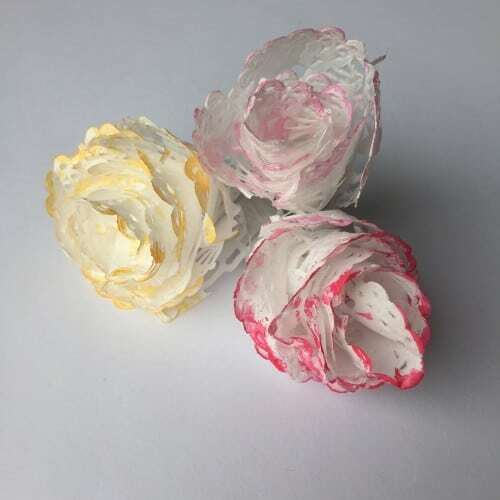 We just posted these Mini Coffee Filter flowers this week, but they are too beautiful to not make the cut. They are perfect to add your your Mother’s Day cards. These soft and beautiful Doily Flowers are so much easier than they look. I’m going to make a bunch and put them in a clear bowl on my mantel. Flowers don’t always have to be light and pastel. 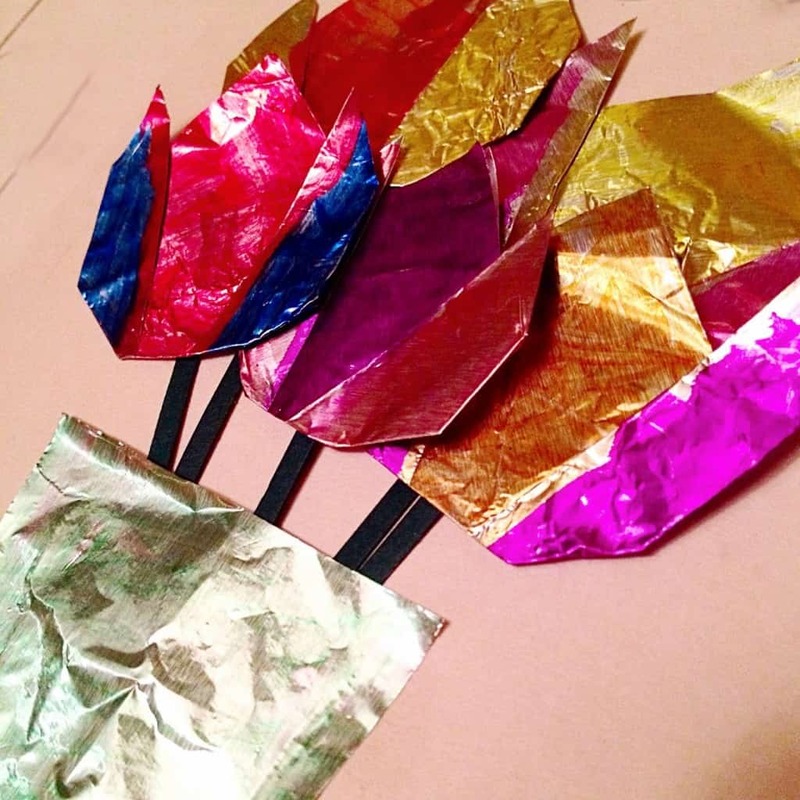 Check out these great, bold and beautiful Foil Flowers that J made last year! Another fun option to add to your Mother’s day cards! What kind of Spring projects do you like to do?